Just over four years ago, on August 9, 2014, 18-year-old Michael Brown was murdered by police officer Darren Wilson. He was shot six times, and might have survived some of the shots, but was fatally wounded by a bullet in the head. Wilson claimed he shot in self-defense, but Michael Brown was unarmed. Prosecutor Bob McCulloch took his time convening a grand jury and announced in November, three months after Brown’s murder, that the grand jury voted not to indict Wilson. 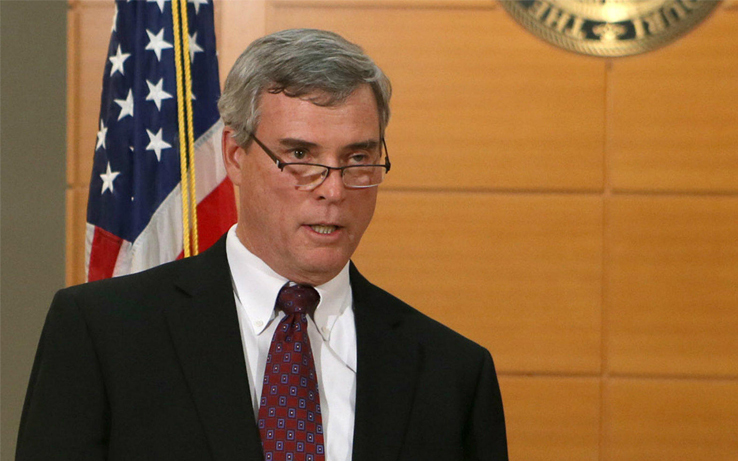 Critics say that McCulloch manipulated the grand jury process to protect Darren Wilson. But now he has his come uppance. The 27-year prosecutor was defeated by Wesley Bell, an African American attorney and member of the Ferguson City Council. Bell seems quite the opposite of the racially biased McCulloch, a prosecutor who incarcerated poor African-Americans for minor offenses. McCulloch and the Ferguson police department were cited by the Department of Justice for unfair practices, and for using substantial traffic fines as revenue generators for the city. It’s a great approach given that “prosecutorial discretion” often determines who will be charged, and for what offenses. Prosecutors are the ones who decide whether to charge someone with a crime or convene a grand jury. They also choose how much bail to ask for, often pressuring indigent defendants into plea deals or holding them in jail for long periods of time if they cannot post bond. The Real Justice PAC website lists nine endorsements for this election cycle. Two, Wesley Bell and Contra Costa District Attorney Diana Becton, won their elections. Two others, Boston attorney Rachel Rollins and San Antonio’s Joe Gonzales, face elections later this year. The other five lost their races but were able to make essential points about criminal justice reform during their elections. Their opponents were all incumbents who will, perhaps, be motivated by their challengers to make changes in the ways they administer the law. This bottom-up approach to criminal justice reform, focusing on prosecutors who have a fair approach to “law and order,” is a logical outgrowth of the Black Lives Matter protests that have followed police killings of Black men. The legacy of the deaths of Trayvon Martin and Michael Brown has been a focus on police accountability. After Brown was killed, President Obama made $75 million available for local police departments to purchase body cameras, increasing police accountability in some instances (although some officers conveniently do not wear their cameras). Having lost the Democratic primary for St. Louis County Prosecutor, Bob McCulloch still has a few months left to serve in his term. Hopefully, he will be chastened enough by his loss to curtail his oppressive manner of enforcing the law. Indeed, activists will need to pay attention to these last days of McCulloch’s reign. While he has the potential to continue to damage the lives of many individuals, his loss is sweet revenge. Wesley Bell, who has no Republican opponent for November’s race, has the opportunity to model what criminal justice can look like when a progressive leader is making prosecution decisions. Perhaps Wesley Bell’s win will encourage the Real Justice PAC to seek out candidates in other cities – their work, so far, has focused on California, Texas and the St. Louis race. Police officers, too, use their prejudices to decide when to charge and when not to. Unconscious bias is a benign word for racism, and it is rife in the criminal justice system. Electing better prosecutors is a first step toward reversing some of this, so I applaud the work of the Real Justice PAC. But there is so much more that must be done before we experience equal justice.